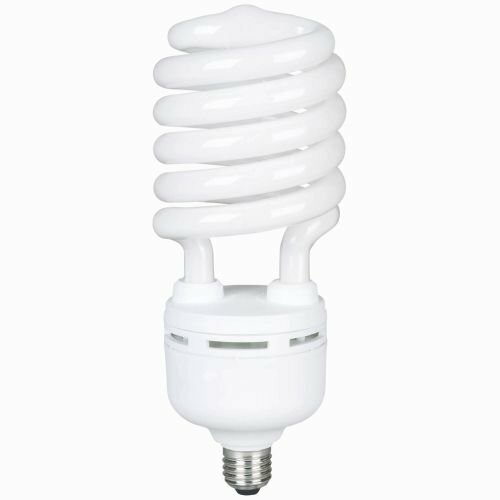 Compact fluorescent light (CFL) bulb is miniature version of full-sized fluorescent lamp. Cfl are energy saving bulbs and saves money using 40 - 75% less energy and lasts 8–15 times longer than incandescent bulbs.1 CFL lasts as long as 8-12 incandescent bulbs. Fluorescent bulbs are 5-8 times more brighter than incandescent bulbs. Long lamp life results in reduced maintenance and service costs. Ideal uses include high and low bays, gymnasiums, warehouses, churches, wall packs, shop floors, and parking garages. This clear and bright light has a pronounced blue cast that simulates outdoor conditions. Recommended for use in well-ventilated fixtures and should not be used in recessed cans. Instant ON, Flicker-Free with brightness 5800 lumens, provides energetic, daylight with full spectrum 5000K color temperature. Ideal uses include high and low bays, gymnasiums, warehouses, churches, wall packs, shop floors, parking garages etc. If you have any questions about this product by Overdrive, contact us by completing and submitting the form below. If you are looking for a specif part number, please include it with your message.